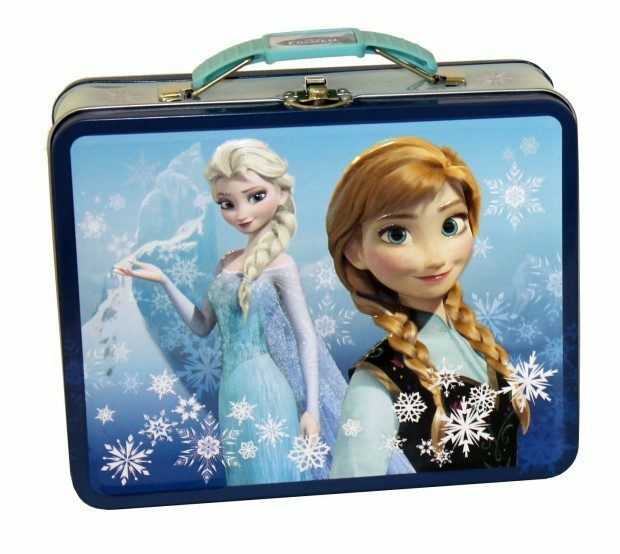 Great Deal On An Add On Item At Amazon - Disney Frozen Metal Tin Lunchbox Just $3.18! You are here: Home / Great Deals / Amazon Deals / Great Deal On An Add On Item At Amazon – Disney Frozen Metal Tin Lunchbox Just $3.18! Great Deal On An Add On Item At Amazon – Disney Frozen Metal Tin Lunchbox Just $3.18! If you are already getting an order together for Amazon then this add on is a steal! This large tin carry all features all new Disney’s Frozen graphics. This tin is perfect for storing small toys and items as well as safe for use with lunch. The tin measures 7-5/8 x 6 x 2-3/4. Get a Great Deal On An Add On Item At Amazon – Disney Frozen Metal Tin Lunchbox for Just $3.18!